The dean of the Warsaw Bar Association, Włodzimierz Chróścik, and other representatives of the association held a meeting with Carmen Pérez Andujar, vice-president of the Madrid Bar Association—Ilustre Colegio de Abogados de Madrid. At the meeting, they discussed issues of developing cooperation between the two bar associations. The discussions primarily concerned organizing joint workshops, integration events and other initiatives fostering relations between members of the two bars. There was also a discussion of the possibilities for cooperation between the mediation centres at the Warsaw and Madrid bar associations. 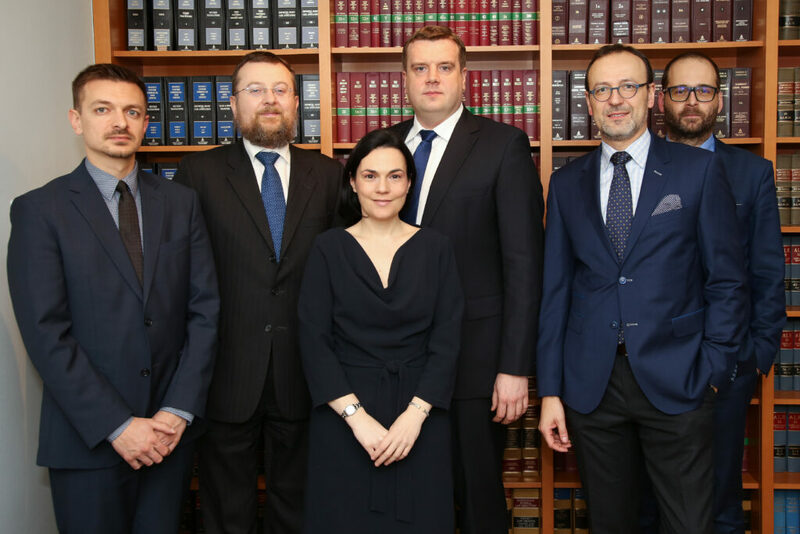 In addition to the dean, Włodzimierz Chróścik, others participating in the meeting with Carmen Pérez Andujar included attorneys Mariusz Maciejewski, Radosław Radosławski, Michał Gajewski and Tomasz Maliński, director of the Mediation Centre at the Warsaw Bar Association.